The rulers tagged her as the only man amongst the rebels! Such was her might and valour. Rani Laxmi Bai lost a war but won the hearts of the nation. But history often forgets to recount the emotional and tender side of a young Manikarnika and the turmoil she had to endure to metamorphose into a feisty warrior. COLORS’ period drama, Khoob Ladee Mardani…Jhansi Ki Rani, will delve into this untold aspect of her life along with accounts of her bravado. 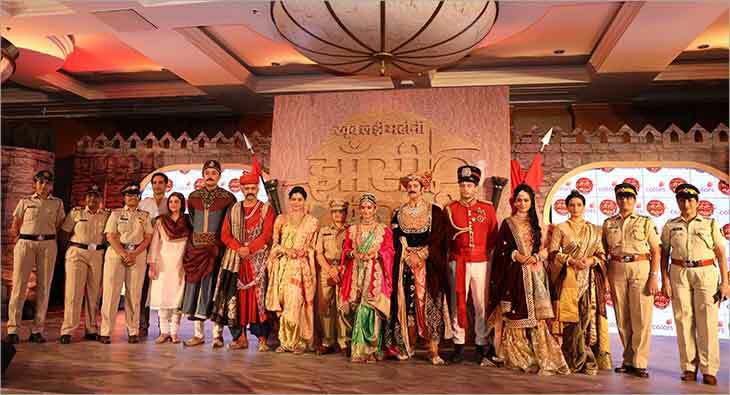 Produced by Abhimanyu Singh of Contiloe Pictures and featuring Anushka Sen as Manikarnika along with Vikas Manaktala, Rajesh Shringarpure, Vijay Kashyap in pivotal roles, Dabur Red Tooth Paste presents ‘Khoob Ladi Mardani – Jhansi Ki Rani’ premiers on Monday, 11th February 2019 and will air every Monday to Friday at 9:30 PM on COLORS. A young, virtuous girl born in the holy city of Varanasi, Manikarnika was raised by a patriotic father who shaped her world view and instilled in her the virtues of freedom and national pride. Not just as a Queen, but Manikarnika battled multiple internal conflicts, challenged societal stigmas and rebelled against the British to become the legend of her time. In an era, when the role of a woman was reserved for child bearing and rearing, the compassionate Queen helped emancipate her British-sympathizing husband and became the pillar of strength for her motherland especially her land, Jhansi. ‘Khoob Ladi Mardani – Jhansi Ki Rani’ gives you a perspective into these numerous unknown events and tales from the life of the iconic Rani Lakshmibai of Jhansi. Niyati Thaker, Deputy Commissioner of Police said, “Women across India fight multiple battles but they often need a reminder of what change, the power within them can bring. We all have the passion of Jhansi Ki Rani inside us, we just need to be brave enough to embrace these powers. With this association, we want to inspire women to actively stand up for their rights and fearlessly voice their opinions”.